Animals make every day worth living and there are so many amazing stories out there. 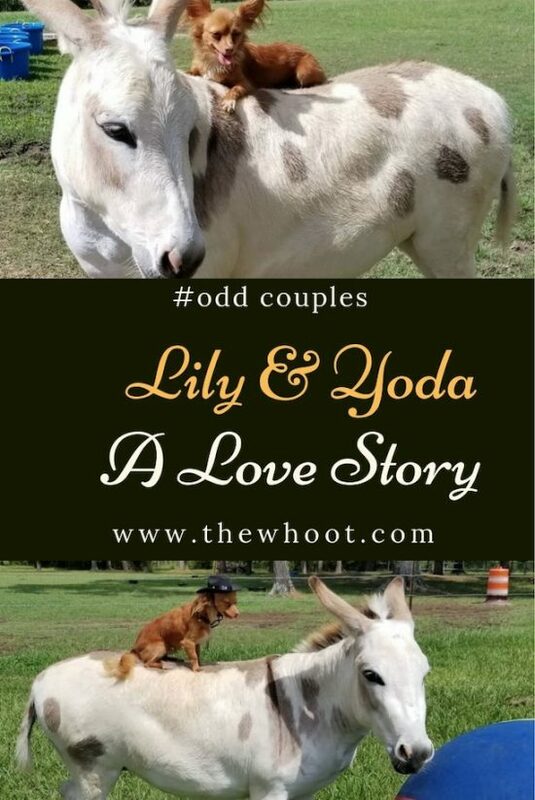 Today we share the story of Lily and Yoda with you and we know you will adore it. We can learn so much from Animals and they are the one things guaranteed to bring a smile to our face every time. 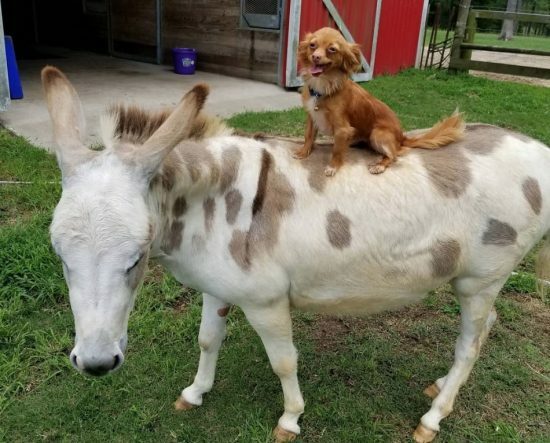 Today we are sharing a super cute story about a rescued Donkey, Lily, and also her new best friend and protector, Yoda the dog. As you can see from the photo above, Yoda loves to ride around with Lily on their Farm in Texas. You can see how well they get on. They are literally inseparable. Be sure to scroll the post to the end so you can view the incredible video story of Lily and Yoda. When Lily was a baby, Yoda recognized how lonely she was and took her under his wing. He looked after her, and protected her from the other animals but he backed off when she developed a crush on another donkey! Find out the whole story below. Are you ready to meet Lily and Yoda? The story of their friendship and love for each other is completely heartwarming and a reminder that Animals make the very best people.